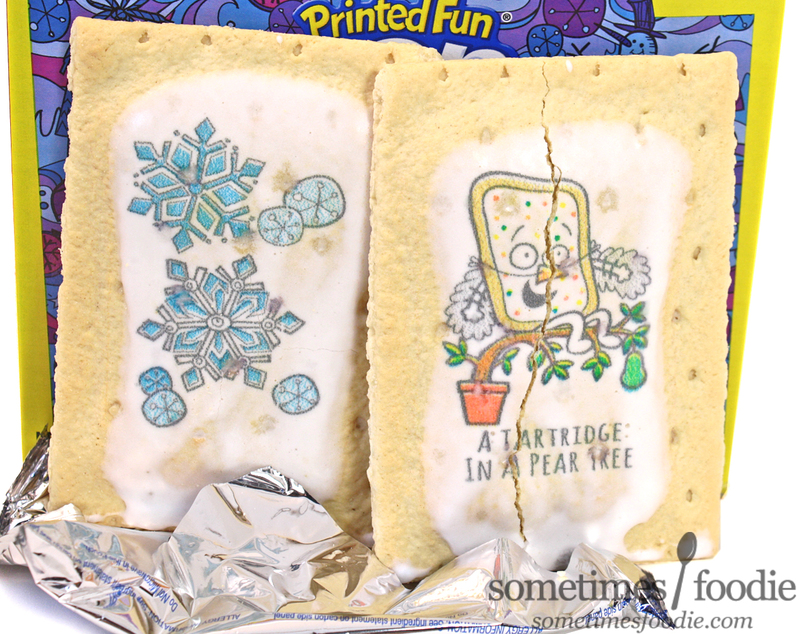 Sometimes Foodie: Sugar Cookie Pop-Tarts, Surprisingly Delicious? Sugar Cookie Pop-Tarts, Surprisingly Delicious? A few years back, Aldi (as a company) bought out a rival low-budget grocery chain, Bottom Dollar Food. Both businesses were known for their low prices, but Bottom Dollar was known for having name brand items, while Aldi was no-frills and store-brand. Since the buy-out, brand-name products have slowly been popping up at Aldi, but...it's mostly breakfast stuff. Even weirder, Aldi gets all the holiday-specific releases, like these Pop-Tarts. I used to buy a box of Pop-Tarts here or there when new flavors were released just for my own curiosity/blogging purposes, but now? I have a whole new appreciation for them. In our household, all three of us work and my boyfriend's daughter (whom I refer to as 'K') also has college classes, so every day there are three people scrambling for breakfast, grabbing last minute on-the-go snacks, and packing lunches. Having easy, ready-to-go options like Pop-Tarts helps maintain sanity around here, so I've been buying them more than ever before and variety helps keep things interesting, so bring on the seasonal Pop-Tarts! Packaging-wise, this is one of the busiest box designs I've ever seen. The blue-toned color palette tones down all the different doodles, but still, it's crazy-hectic. At the top, just like the Dunkin' Pop-Tarts boxes, there is an obnoxious yellow and red banner practically shouting, "LIMITED EDITION!" in our faces, which is really unnecessary. 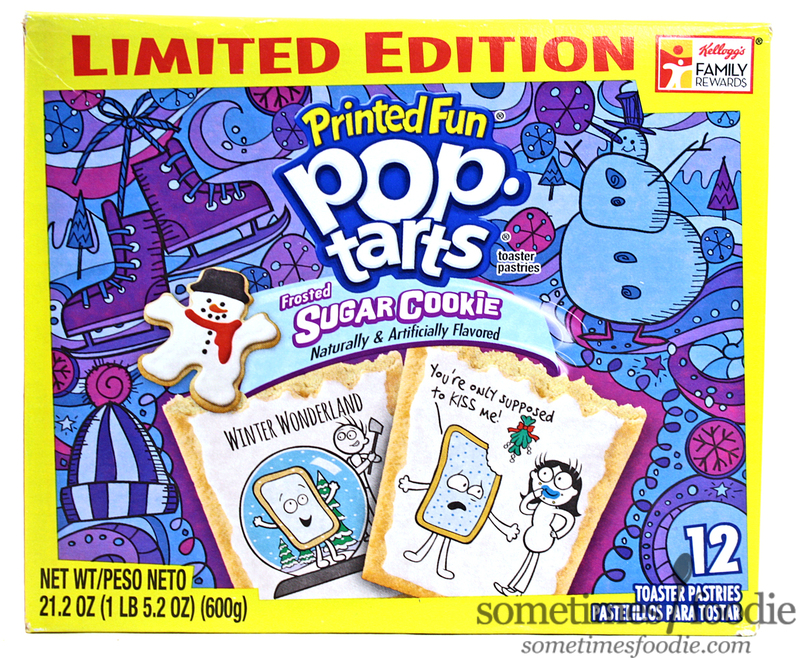 We get it, some flavors don't last forever, but Sugar Cookie has been released every winter for several years, so I think Pop-Tarts really needs to dial it back. 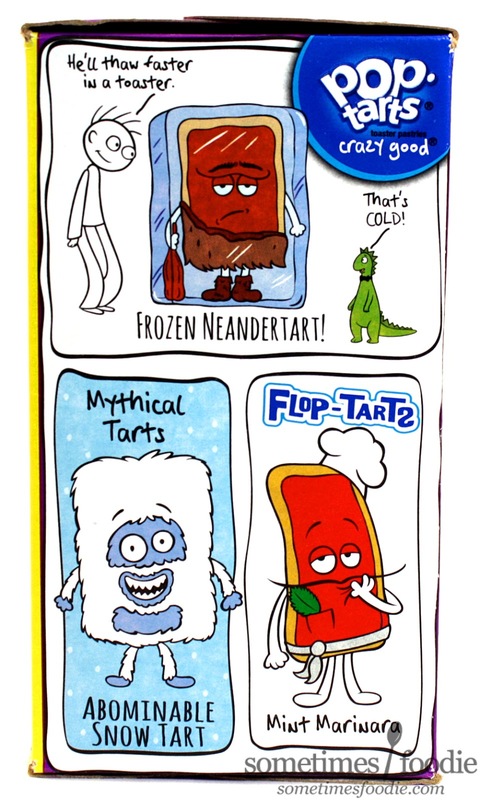 The Flop-Tarts concept is fairly amusing, but the rest are just as "meh" as the white elephant one. 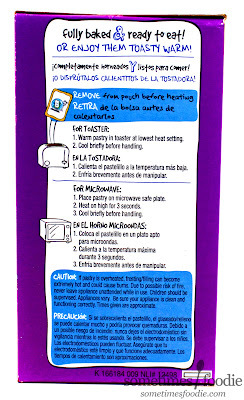 In the end, I do like the little doodles, and I appreciate that the company is trying to make their packaging fun, so I rather they be here and slightly lack-luster than to have boring packaging. Moving on! Inside the box are several packets of silver-wrapped Pop-Tarts. 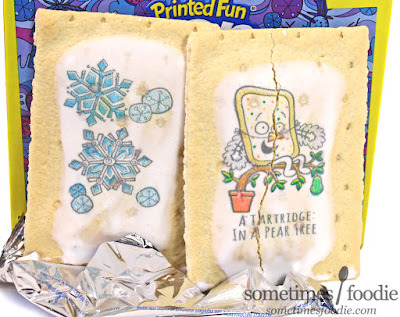 This is one of the cool Pop-Tarts that has printed images right on the icing, which is something I've never photographed before, so this should be fun! 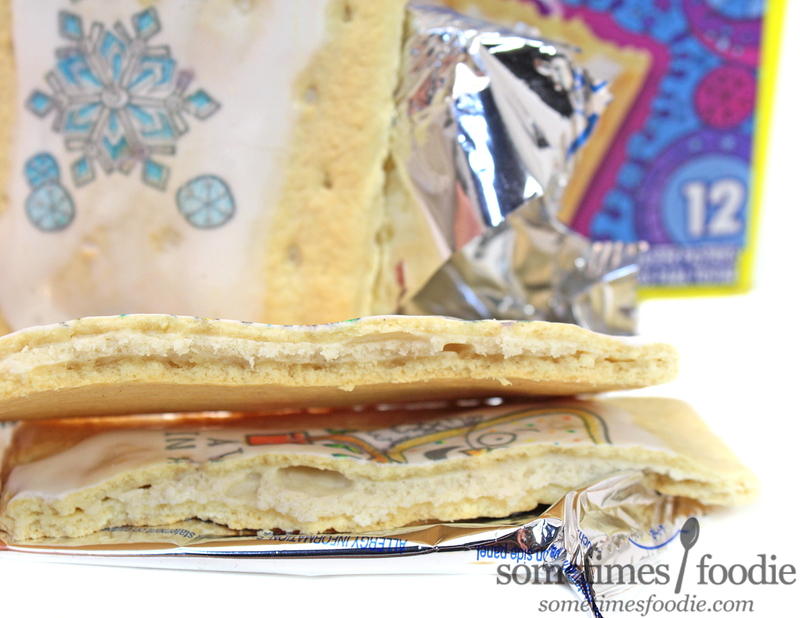 I picked a pack at random and opened it up, the Pop-Tarts inside smelled flour-y, like typical Pop-Tart crusts, with some added sweetness from the layer of white icing. Pleasant, and mild, but not all that interesting. 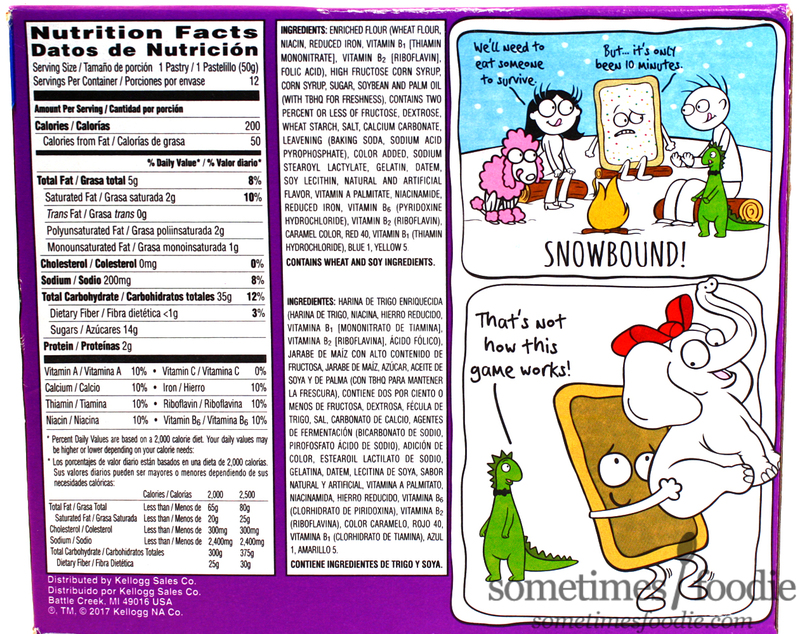 My two designs were one comic (that cracked in half instantly) and one generic winter snowflake image. As far as print quality is concerned, this is pretty darn cool and I'm honestly impressed. There are a lot more colors and details in there than I had expected, and my icing-comic is my favorite of the bunch! I prefer to eat my Pop-Tarts raw, meaning un-toasted, right out of the pouch, so I'm going to review that way first and then try the other toasted and see if there is any difference in the eating experiences. Untoasted, the Pop-Tart crust is dry, flavorless, and sad (like always), no one eats Pop-Tarts for the crust, we're all about that filling! Inside, the fillings is surprisingly thick with a grainy texture with a spot-on grocery store cookie dough flavoring. It's sweet, vanilla'd and crunchy...everything sugar cookie dough should be. I'm pretty impressed here, but I think it'll really knock my socks off when toasted, so let's give that a try. Toasted, this is even better! Normally I am a raw-Pop-Tart kinda girl, but this is an exception. The crust goes from sad and crumbly, to flakey, and the filling warms up without losing any of it's sugar cookie graininess. We also gain some burnt sugar notes that make this far more decadent than it has any right to be, and in the end, this is a really freaking awesome Pop-Tart! 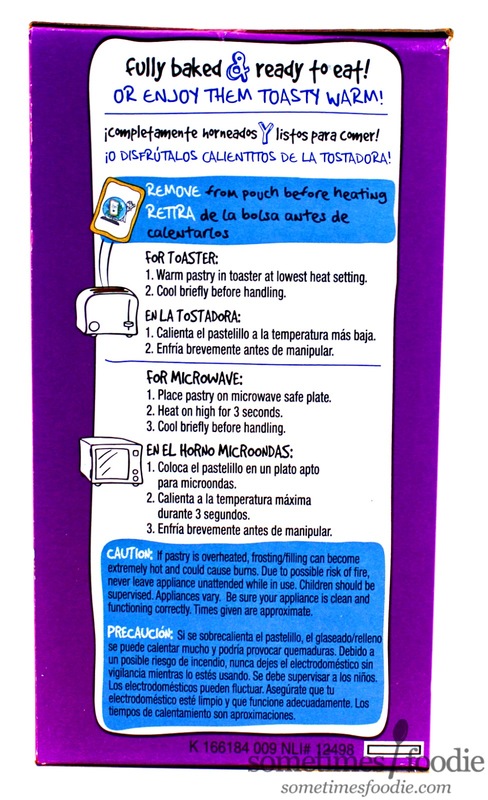 Does anyone actually Microwave their Pop-Tarts? 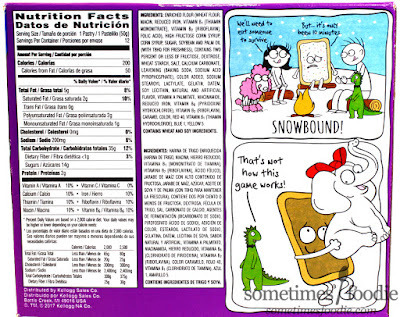 I never expected to like this as much as I did, and in our snacking/lunch rotation, this has been a winner. A few, sad, Root Beer Pop-Tart packets are left in our pantry, but these? Long gone! If you see these laying around (possibly on clearance now that the holiday is over) I highly recommend giving them a try. Toasted or not, they're delicious, but if you really want the most bang for your buck, toasted is totally the way to go.